Refill is designed for use with Reckitt & Benckiser Air Wick Freshmatic Ultra Metered Spray. 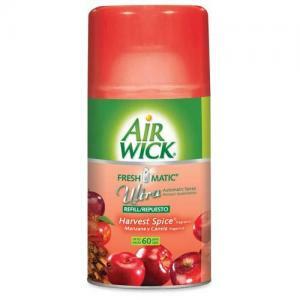 Air freshener provides a light, subtle freshness of the scent, Harvest Spice, to an entire room. 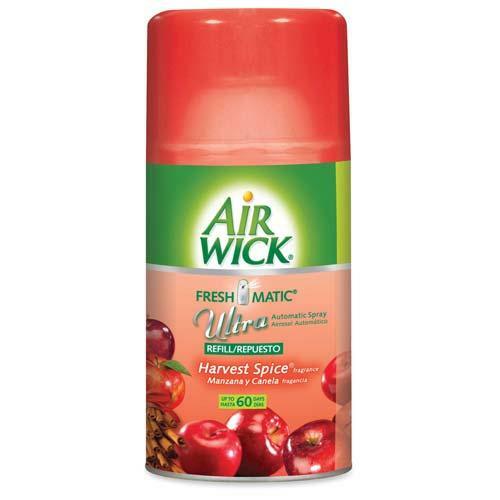 Harvest Spice is a blend of cinnamon, ginger and clove, with a touch of vanilla and a hint of crisp red apple. Refill lasts up to 60 days.